Apple announced their smart speaker and home assistant called “Homepod”. The name sounds ok, but doesn’t do the product justice, while it should not be surprising that iHome has been already trademarked by another company. With that said, Apple announced this new product line with availability by end of the year 2017. This announcement is coming 2 weeks before the first official shipments of Echo Show from Amazon, which was announced the day after Microsoft released their new smart speaker. The big difference here will be the price and feature set compared to all other previous vendors trying to compete in that market. Amazon Echo is priced around $150 to $180, Google Home is priced at $120 ti $150, Microsoft announcing their product line leaves Apple with their new product line coming end of this year. Apple claims superior sound quality with downwards facing 7 x tweeters and an upwards facing sub-woofer. 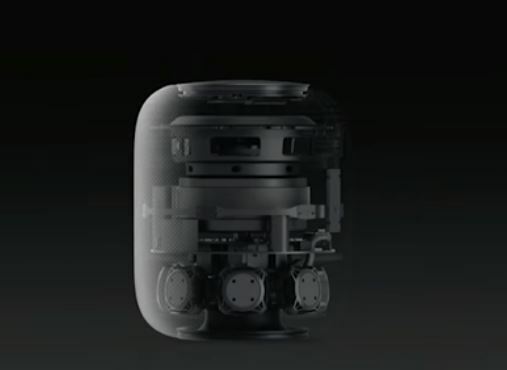 The A8 chip from Apple allows to spatially analyze the room and adjust the sound waves for superior sound. Sounds pretty interesting and you can only assume,that somebody will actually test this functionality. This will become even more important as soon as you add the second homepod into the same room. 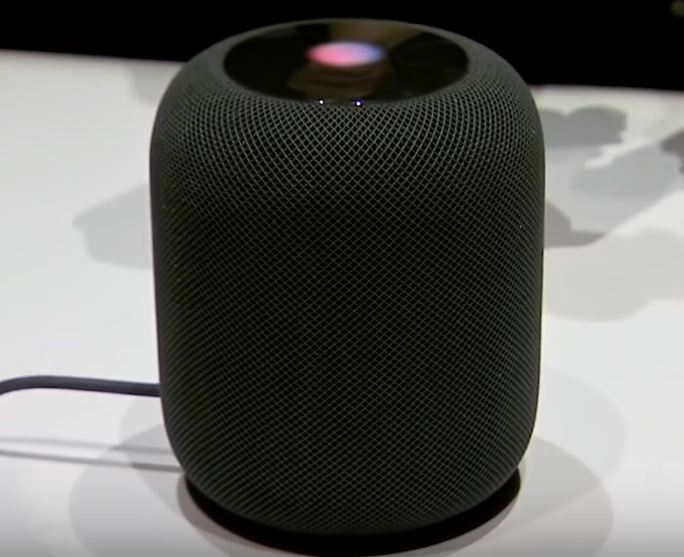 Apple didn’t go into any details about their far-field sensors to capture the human voice but instead Apple went into more details about how important the customer’s privacy is and how secure the homepod is with the commands a customer initiates.So it will be interesting to see how well homepod recognizes voice commands and at what distances. The other part to be tested should be the ability to have one homepod or one homepod room respond instead of two or three rooms while you are in the hallway or in between rooms. Amazon Alexa had this issue for a long time and finally fixed that last year, where the closest Alexa will respond but until that fix was deployed Amazon provided different wake words to make up for that. A product lives and dies with its ecosystem. Google has its search engine backing Google Home and Amazon Alexa has thousands of skills and developers constantly improving the end customer experience. Apple’s loyal customer base is big while the question remains what do those customers expect from a smart speaker or smart home assistant. Offering answers to questions like metrics, stocks and reading out news can be done by any phone today or even wall-attached tablet. Integrating with a variety of music services is also key while Apple has a significant play here with iTunes. With all that said being able to send messages does sound pretty interesting and as soon as more details become available I will share those especially after Amazon released their communication package update of calling and messaging people via Alexa and Echo Dots. There are still some major privacy and security updates which need to happen to make this main stream, so it will be interesting to see what Apple has done in this area and if this is a one way communication channel via messages only and no phone calls? Time will tell. Let’s discuss the biggest part of the homepod reasoning for its existance, which is the smart home integration. Apple claims that it can be a smart hub for Homekit integration. It will support Homekit devices and offer commands to control your home. The same applies here as above because the ecosystem is the key here. Homekit integration has not been high on vendors’ ToDo list so unless Homekit gets a big boost the options for end customers will be limited. Amazon is addressing this with skills allowing third party smart home companies to integrate with the Alexa ecosystem. Companies like Samsung with Smarthings, Wink, Homeseer, Nexia, etc are all working with Alexa. 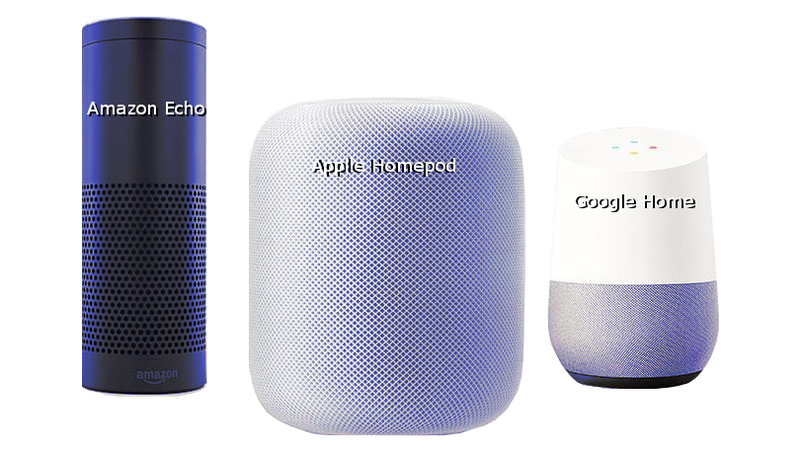 The question will remain if Apple is trying to make every vendor to become Homekit certified or if Apple will recognize the smart home device companies work with other vendors and support third party smart hub/controller integration with Homepod. Given Apple’s history on such subjects, it would be a suprirse to see Apple supporting 3rd party smart home solutions but you never know.